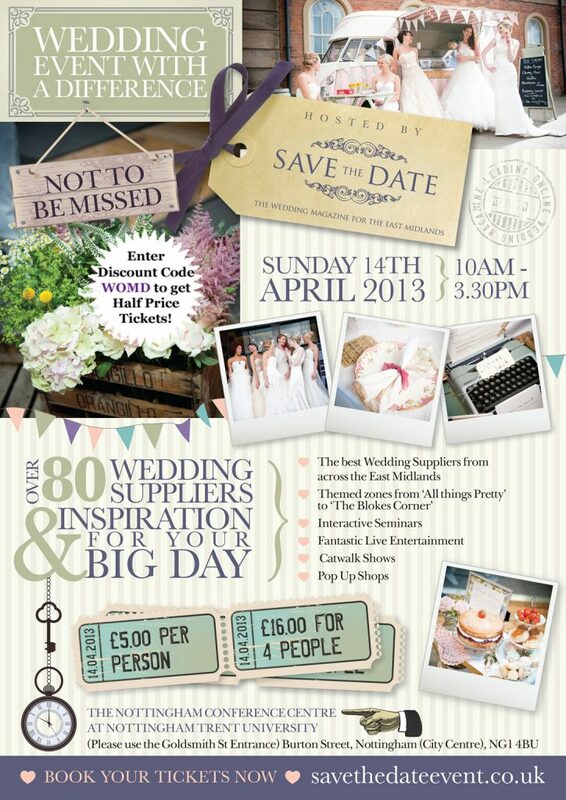 Here at The Wedding of my Dreams we have joined forces with the team at Save the Date and are pleased to be able to offer you half price tickets to one of the biggest and most creative, inspirational wedding events in the East Midlands; the Wedding Event with a Difference. All you have to do to book your half price tickets is visit www.savethedateevent.co.uk and enter the discount code WOMD. This is only valid for tickets purchased online and not available on the door.